Beginning in the fall of 2013, Jewish Family Service embarked on an in-depth and collaborative strategic planning process. With the guidance of Insyte Partners as our consultants, we convened hundreds of community members in diverse forums, visited many of San Diego County’s best-in-class organizations, and analyzed regional and national data on the assets and needs in our community. We set aside our preconceived notions about JFS’s future and allowed new insights to emerge. Recognizing that the wisdom of the broader community was integral to its success, we committed ourselves to a process that was intentionally different than any we’d undertaken before. Through this process, we discovered Who We Are by exploring the Why, What, and How of Jewish Family Service. We asked ourselves why we are compelled to do our work, what we are uniquely positioned to do in the community, and how we will accomplish it. In this summary, you will find the answers to these critical questions. Our three Impact Areas, our Strategic Priorities, and our commitment to using our Jewish Values as our roadmap are the exciting results of this yearlong planning journey. The dedication, perspective, and critical thinking of every participant made our unique process and transformative work possible. It is a privilege to walk this path with you. Jewish Family Service is a client-centered, impact‑driven organization working to build a stronger, healthier, more resilient San Diego. Through this focused program framework, we make a meaningful, measurable, and sustainable difference in the lives of those we serve. We can feel confident in the difference we make together because we measure how our clients’ lives change and how those changes transform the whole community. We believe in empowering clients. We believe in engaging volunteers. We believe in being accountable to our supporters. We believe in working collaboratively with partners. We strive to be a vital resource for all of San Diego. As a Jewish agency, we are called to respond to the specific needs of the Jewish community. At the same time, our Jewish value of tikkun olam, repairing the world, compels us to serve the greater community. Our Jewish values are the driving force behind our efforts and imbue our work with meaning. To define ourselves as a Jewish agency does not speak simply or exclusively to whom we serve; more profoundly, it speaks to why we serve. We believe that the only thing that matters as much as what we do is the spirit in which we do it. Compassion, respect, and dignity guide our every action. It costs too much. It takes too long. You’re not eligible. Every day, in a dozen ways, individuals and families in our community hear the message You Can’t. At Jewish Family Service, we are committed to saying You Can. When people want to transform their lives, they have to do it for themselves, but not by themselves. We provide a wide range of integrated services that address the complexity of people’s lives, supporting and encouraging clients to improve their financial, physical, emotional, social, and spiritual health. JFS partners with clients to achieve life‑changing goals on their path toward self‑sufficiency. What if your social circle expanded as you grew older? What if your mind and body were fitter than they’d been in decades? What if this year, you achieved something you’ve been dreaming about your whole life? 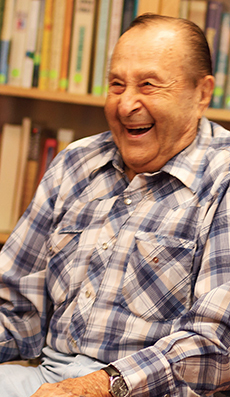 At Jewish Family Service, we recognize that the aging process is complex, demanding, and dynamic. No two aging experiences are the same. Every older adult has a story, a skill, and a perspective to share—and a continued desire to contribute to our community. It’s our job to ensure that their financial, physical, emotional, social, and spiritual health supports those goals. JFS is dedicated to ensuring older adults lead safe, independent, and healthy lives — and remain engaged, contributing members of our San Diego community. You seek meaningful connection. To other people. To causes. To something bigger than yourself. We all do. 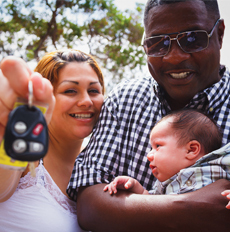 At Jewish Family Service, we recognize that self-sufficiency means being connected. This is why we are dedicated to building deep, strong relationships among clients, volunteers, and organizations across San Diego. People who are truly healthy have someone they can laugh with, confide in, and depend on. JFS empowers clients to become independent in the context of a caring community by connecting them to individuals and groups who can relate to them and support their goals. We are a home for the whole community—for people in search of better lives and for those seeking to make better lives possible. JFS is a hub of volunteer leadership and innovation—providing meaningful service opportunities within our agency and enhancing volunteer engagement across our entire community. Among peer organizations, JFS is an active, collaborative partner. We know that the complex, long-standing issues facing San Diego require the attention and coordinated action of many organizations. Together with community partners, we leverage our resources to help clients find solutions to their challenges and advocate for policies that address those issues’ root causes. JFS responds to the specific needs of the Jewish community and — as part of our belief in tikkun olam, our obligation to repair the world — serves the community at large. We continually question, debate, learn, and revise our understanding of what makes us Jewish. We focus our work in three overlapping and mutually reinforcing impact areas. 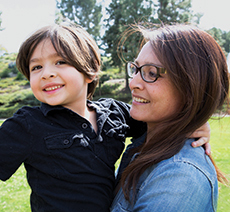 JFS Empowers Individuals & Families To Move Toward Self-Sufficiency, Supports Aging With Dignity, and Fosters Community Connection & Engagement across San Diego. We provide a wide range of integrated services to help individuals and families transform their lives. Success means financial stability, physical health, emotional support, social connection, and spiritual fulfillment. Every interaction with JFS is guided by shared principles. Every board member, staff member, and volunteer is mission-, framework-, and client-centered; impact-driven; and learning-focused. We are committed to authentic communication, innovative thinking, and effective collaboration. We create meaningful volunteer opportunities for people to direct their deepest passions and unique talents in service to JFS and its clients. 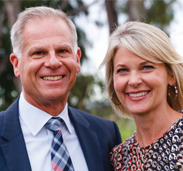 We act as a volunteer leader and convener in the greater San Diego community. JFS is a collaborative member of the San Diego community. We actively partner to identify, address, and measure the effectiveness of our solutions to the community’s most complex and pressing challenges. The JFS Board of Directors is one of our agency’s greatest strengths — providing vital support in pursuit of the agency’s long-term goals and acting as a team of JFS ambassadors in the community. Attracting, engaging, and cultivating leaders who provide strategic guidance and meaningful community connections is critical to our success today and in the future. JFS’s dedication to community impact and exceptional client experience is reflected in our commitment to recruiting, developing, and retaining the highest-performing, most passionate staff. We create a climate of learning, innovation, opportunity, and success. Fulfilling our long-term commitment to the community requires equally long‑term financial stability. JFS maintains a diversified funding portfolio and ensures that every dollar we raise supports our mission. The Who, Why, What, and How of Jewish Family Service outlined in this document will be our directive over the next five years. New programs and services will emerge in response to evolving challenges and opportunities, and the strategies employed will be revised to reflect our changing environment. But what will not waver are our commitments to exceptional client service and community impact. As is fitting for a community-driven organization, especially for Jewish Family Service, we engaged in this process together, learned through shared experiences, considered one another’s perspectives, strived for consensus, and proceeded respectfully when perspectives differed. As we transition to the implementation phase of the plan, we will again call upon the collaborative spirit that is core to Jewish Family Service. Together, we will create a San Diego where every individual and family is self-sufficient, ages with dignity, and is socially connected.